- The Judge rejected Tony Barnett's request that the case be sent to a higher court under the European convention on human rights article six. He also rejected Tony's demand for a trial at the crown court with a jury. - The Judge Rundell invited Barnett to leave the court when he began arguing with him and trying to ask him questions. - Tony Barnett told the Judge, "This court is screwing innocent people. There is no way I am paying a penny to these wankers. You can order what you like, I won't pay it. One day these people will be found guilty, and I will get them in court if it kills me.You, your honour, are committing court room fraud, I will get you for this." Tony Barnett has just been given a one month suspended sentence by Judge Richard Rundell at Worcester Crown Court for twice breaching an injunction banning him from entering a local common. Barnett had tried to argue that the injunction against him and two others was unlawful but Judge Rundell rejected those claims as being outside the jurisdiction of his court. He was found guilty of breaching a court injunction not to enter Hartlebury Common, in North Worcestershire, and that he had encouraged others to take down fences put up by the Council. David Warner, representing Worcestercershire County Council, told the court that Barnett had sent two emails admitting the breaches to the council. He said: "An injunction was put in place in December 2011 forbidding Mr Barnett from entering Hartlebury Common or taking down or tampering with any fences or gates at Hartlebury common." "Mr Barnett sent two emails to the solicitor representing the council, the first of which said he entered the common 'twice a week' and the second, we say admitted advising other on how to take down the fences." Barnett, who represented himself, claiming no solicitor would agree to work with him, denied he had entered the common. He said: "I used to enter the common twice a week, that is what I meant. I used to go to the car park to train my racing pigeons but I haven't been there since July 2011, before the order was put in place. "I also had no idea who I was talking to over the phone about the fences. I'm well known across the country in these matters, people call me up all the time. "When they asked me about them I told them what the legislation says, that they have the right to remove any unlawful works on common land. "I advised them to go to the court and get these people [Worcester County Council] in court. I advised them on what they could do, I had no idea what they would then go and do. "The second email makes no reference to Hartlebury Common, it could be talking about any common across the country. "I request that this case be sent to a higher court, by my rights under the European convention on human rights article six I demand a trial at the crown court with a jury." Judge Rundell rejected that request before inviting Barnett to leave the court when he began arguing over the judge and trying to ask him questions. Barnett had asserted that his human rights were being abused due to the judge's assertion that he had no jurisdiction to send the trial to crown court. Judge Rundell found in Barnett's absence that he had committed both breaches and sentenced him to one month in prison suspended for 12 months for each to run concurrently. The judge had offered to adjourn the hearing so that Barnett could get legal advice and give his mitigation. Barnett refused the offer. 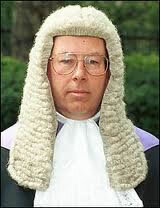 Judge Rundell said: "Mr Barnett remains unconvinced at my explanation that I cannot send his case to the crown court. "This case stems back to Worcestershire County Council's application for an injunction for preservation reasons on Hartlebury Common. "The granting of the injunction caused a lot of anger amongst the local community. Worcester County Council fenced off the common and brought in cattle to graze the land." 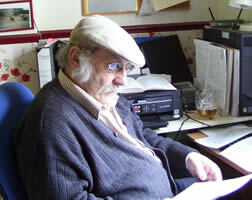 "I believe that Mr Barnett was the ringleader of the group attempting to disrupt the injunction. I do not accept his explanations for the emails he sent, he is an intelligent man who knew exactly what he was talking about." "He claims he did not know which common he was talking about in the email, I do not think he is doing justice to himself with his evidence." "I could send him to prison, however a long prison sentence would be disproportionate, also, despite not entering any mitigation as to his circumstances, he is quite clearly not a well man, I also feel that would be exactly what he would want to allow his perceived grievances to fester." "If he holds the genuine view that the injunction is unlawful he must appeal the decision to grant it in the appropriate court however he has never done this." Barnett was also ordered to pay court costs of £2,422.07 within the next two months. "What do you want me to say? This is a complete sham." "My human rights under article 6 of the human rights act have been breached. I did not enter the common. "I have made an application for a trial at a higher court with full disclosure and witness summonses, but have been denied." "This court is screwing innocent people. There is no way I am paying a penny to these wankers. You can order what you like, I won't pay it." "I have been granted a day in court in Shrewsbury, I will get these people in court one day. I don't recognise the jurisdiction of this court, if these people will break the law they cannot expect other people to adhere to it." "One day these people will be found guilty, and I will get them in court if it kills me." "You, your honour, are committing court room fraud, I will get you for this." Barnett had earlier been admonished by the judge for passing notes between himself and his wife while appearing as a witness. A decision against two other defendants was adjourned until mid December. I HAVE CORRESPONDENCE DIRECTLTY FROM THE ARCHIVES AT LAMBETH PALACE. (1) THAT THE CONVEYANCE OF HARTLEBURY COMMON CL68 WAS UNLAWFUL. (2) FALSE REPRESENTATION TO PINS WAS FRAUD UNDER THE ACT 2006 FALSE REPRESNTATION, WHICH INCLUDES FAILURE TO DISCLOSE, ABUSE OF OFFICE AND LOSS AND GAIN. (3) THE CLAIM FOR HLS FUNDING WAS/IS MORTGAGE FRAUD, USING PROPERTY NOT BELONGING AS COLLATERAL/A MEANS OF GAINING. (4) THE WORKS FELLING OF TREES, DIGGING UP THE SURFACE, THE ERRECTION OF SIGNAGE AND THE PERMENANT HARD SURFACE IS CRIMINAL DAMAGE. (5) THE ARREST WAS WRONGFUL AND IN HOLDING A MEMBER OF THE PUBLIC AS FALSE IMPRISONMENT. THE STATEMENT FROM LAMBETH PALACE PROVIDES INFORMATION THAT THE LAND, HARTLEBURY COMMON WAS STOLEN BY THE BISHOP OF THE AREA, ACTING AS LORD OF THE MANOR. THE STOLEN COMMON LAND WAS VESTED BY THE BISHOP INTO THE HANDS OF THE ECCLESIASTICLE COMMISSIONERS ON 13-11-1860. IN ANY MANS LANGUAGE THAT WAS AN ACT OF MORTGAGE FRAUD AS WAS THE CONVEYANCE IN 1968. IT IS CLEAR THAT HARTLEBURY COMMON WAS WASTE OF THE AREA, NOT PART OF ANY LORDSHIPS DEMENSE LANDS, NO TITLE DEEDS AS IS STATED BY LAMBETH PALACE AND AS SUCH, IS PROTECTED UNDER THE 2006 COMMONS ACT AS A SECTION 45 OF THAT ACT. PRE 2006 THE COMMON LAND WAS VESTED FOR PROTECTION BY THE COMMONS COMMISSIONER INTO THE HAND OF THE REGISTERING AUTHORITIES UNDER SECTION 9 OF THE 1965 COMMON REGISTRATION ACT. THE VESTING GIVES NO JURISDICTION TO THE COUNCIL. THE CONVEYANCE DOCUMENT NOW EXIBITED IS A COPY OF A FRAUDULENT DOCUMENT (MISLAID? ), DRAWN UP IN 1968 BY THE ECCLESISTICLE AND ACCEPTED BY WORCESTER COUNTY COUNCIL. THE CONVEYANCE DOCUMENT REFERS TO THE COMMON LAND AS FREEHOLD, WITHOUT TITLE DEEDS THIS IS A FALSE AND MISLEADING DECLARATION. THE CONVEYANCE DOCUMENT ALSO STATES THAT THE LAND HAS NO INCUMBANTS, THIS TOO IS A FALSE STATEMENT, THE COMMON LAND HAS REGISTERED RIGHTS OF COMMON FOR THE PRODUCT OF THE LAND. I THEREFORE APPLY FOR THESE MATTERS TO BE HEARD BEFORE A CROWN COURT AND JURY, THIS APPLICATION IS SUPPORTED, AS MY RIGHTS UNDER ARTICLE 6 OF THE EUROPEAN CONVENTION OF HUMAN RIGHTS. SECTION 41 AND SHEDULE 4 PARAGRAPH 6.